•	90-degree rotating ear cups — HyperX Cloud Stinger’s ear cups rotate in a 90-degree angle to fit better around your neck, so you can play in comfort for hours. •	Lightweight comfort — At just 280 grams, HyperX Cloud Stinger won’t weight you down, making it ideal for prolonged gaming sessions. •	50mm directional drivers for audio precision — The 50mm drivers are parallel to the ear, to position sound directly into the ear for gaming-grade sound quality. 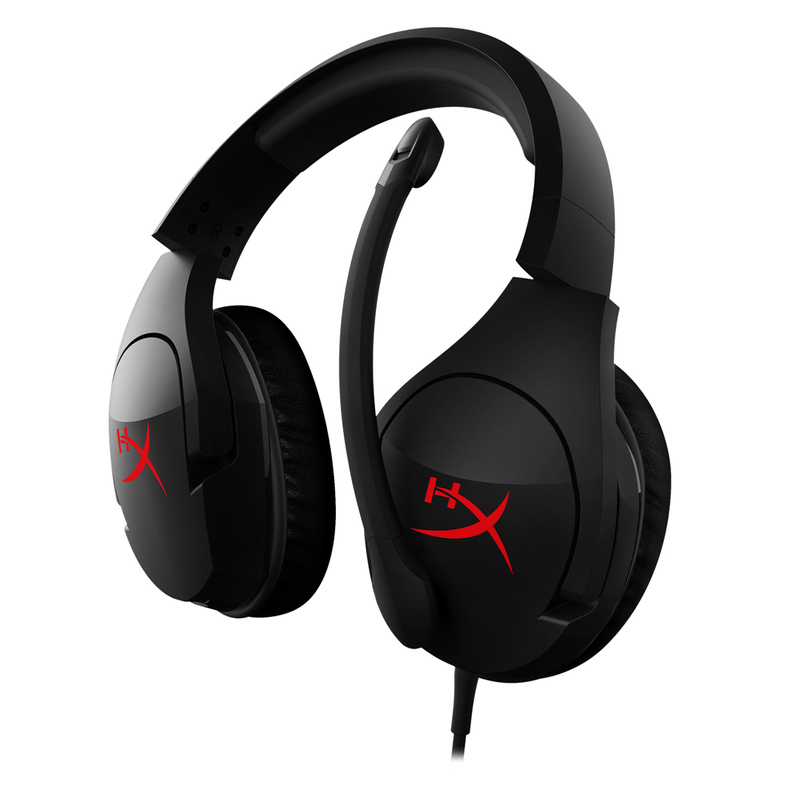 •	HyperX Signature Memory Foam — Play in comfort for hours with HyperX signature memory foam. •	Adjustable steel slider — HyperX Cloud Stinger’s high-quality, adjustable solid steel slider is built for long-lasting durability and stability. •	Intuitive volume control on headset ear cup — The volume slider is located on the bottom of the right ear cup, making it easy to access and adjust the audio volume. •	Swivel-to-mute noise-cancellation microphone — Conveniently mute the microphone by flipping it vertically against your head. 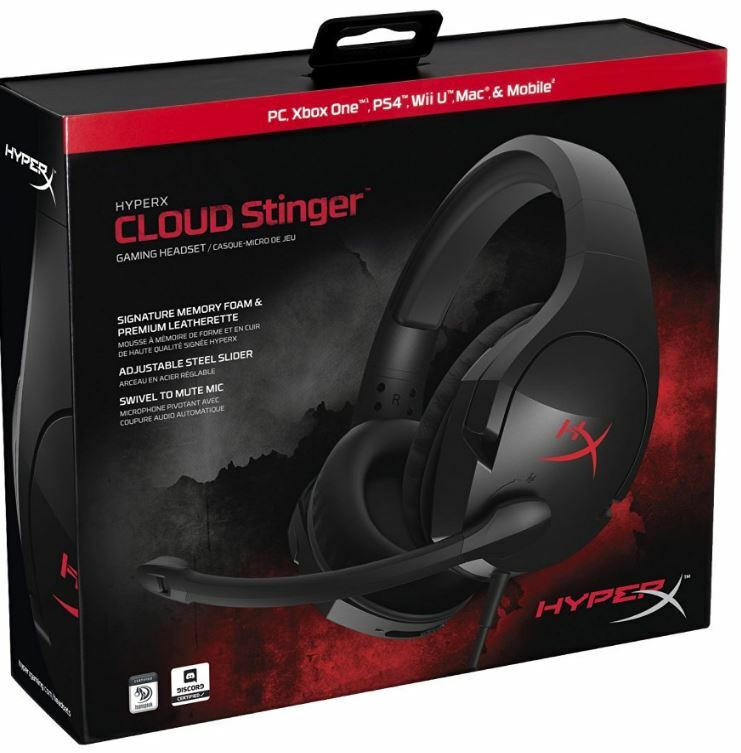 •	HyperX Cloud Stinger’s built-in passive noise cancellation reduces background noise for clearer voice quality. The headset is certified by TeamSpeak and Discord, and compatible with other leading chat programs, including Skype, RaidCall and Ventrilo. 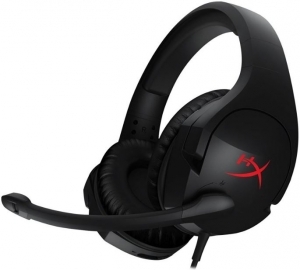 •	Multi-platform compatibility — HyperX Cloud Stinger is compatible with PC, Xbox One1, PS4™, Wii U™ and mobile devices2 and has a single 3.5mm stereo plug (4 pole) and PC extension cable with dual 3.5mm stereo and mic plugs. Enjoy the same comfort and enhanced audio experience on PC or console, or just plug into your mobile device2 and wear it on the go.